Staring Claire Danes, Julia Ormond, Catherine O’Hara and David Strathairn Temple Grandin paints a picture of a young woman’s perseverance and determination while struggling with the isolating challenges of autism at a time when it was still quite unknown. The film chronicles Temple’s early diagnosis; her turbulent growth and development during her school years; the enduring support she received from her mother (Ormond), aunt (O’Hara) and her science teacher (Strathairn); and her emergence as a woman with an innate sensitivity and understanding of animal behavior. This visually inventive film offers insights into Grandin’s world, taking the audience inside her mind with a series of snapshot images that trace her self-perceptions and journey from childhood through young adulthood to the beginning of her career, and beyond. 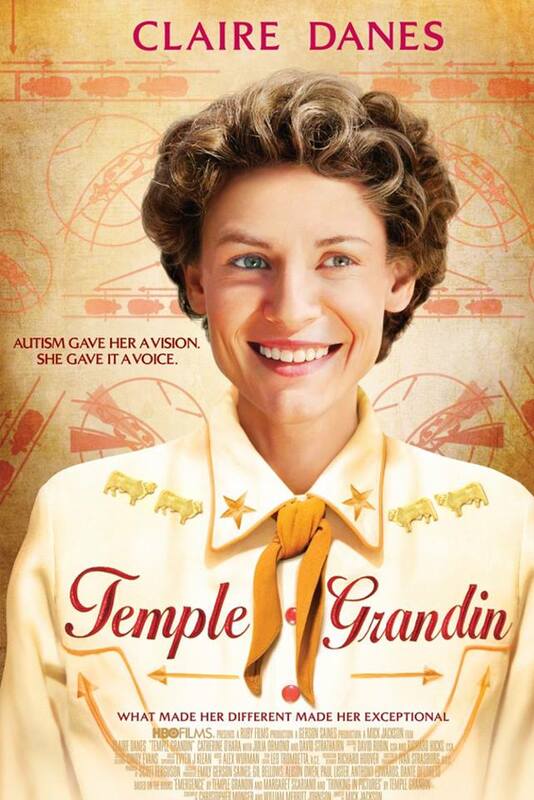 Directed by Mick Jackson, with a screenplay by Christopher Monger and William Merritt Johnson, Temple Grandin is based upon the books ‘Emergence,’ by Temple Grandin and Margaret Scariano and ‘Thinking in Pictures,’ by Temple Grandin. The HBO Films presentation is executive produced by Emily Gerson Saines, Gil Bellows, Anthony Edwards and Dante Di Loreto, Paul Lister, Alison Owen; Scott Ferguson produces.